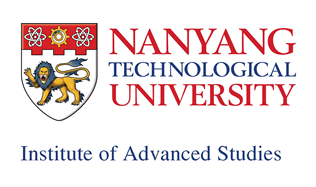 The workshop focuses on novel functional materials and nanostructures in combination with modern devices, as well as on the physics of new devices and sensors, nanostructured materials and nano scaled device characterization. Special attention is paid to fabrication and properties of modern low-power, high-performance, miniaturized, portable sensors in a wide range of applications such as telecommunications, radiation control, biomedical instrumentation and chemical analysis. New approaches exploiting nanotechnologies to pave a way between “More Moore” and “More than Moore” are the enabler for different kinds of sensors and devices which will consume less electrical power, be more portable and totally compatible with modern microelectronics products. 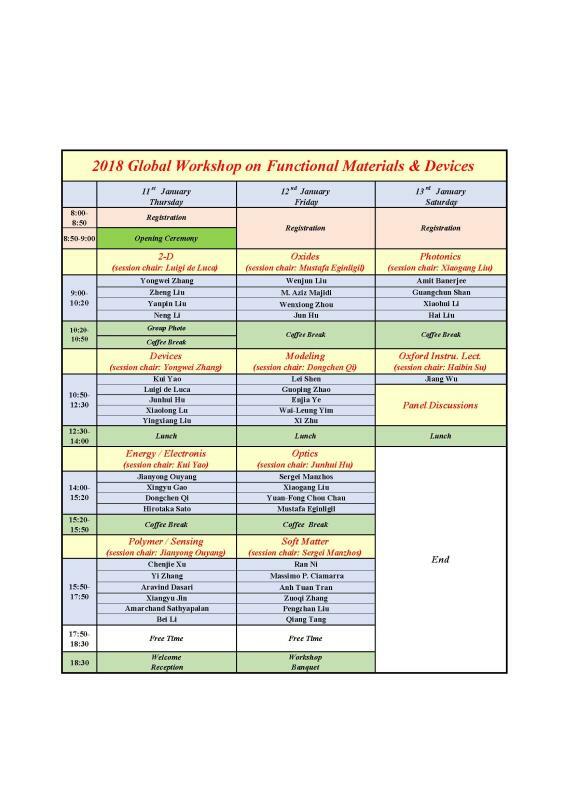 The Global Workshop on Functional Materials and Devices [GW FMD 2018] will be held on January 11th-13th, 2018, Singapore. a. Actuators: Micro / Nano / Molecular Manipulation, Motors, Levitation System, etc. b. Sensors: Gas / Liquid / Ions, Position, Acceleration, Pressure, Temperature / Humidity, etc. Participants are encouraged to register and make fee payment before 30th Nov 2017. All cheques should be made payable to “Society of Interdisciplinary Research” and mailed to “13 Leedon Heights #04-46 Singapore S266224”. Please indicate on the back of the cheque the name of participant, institution, email address, contact number, and event. A confirmation email will be sent upon successful payment completion of the above 2 options. Visitors from most countries do not require a visa for entry into Singapore. However, there are a few exceptions. Before traveling to Singapore, individuals planning to attend the conference MUST consult Singapore's Immigration & Checkpoints Authority (ICA)’s website to clarify visa requirements. Alternatively, you can get in touch with your local consular office for information. English is widely spoken in Singapore. Other official languages are Mandarin, Malay and Tamil. Singapore is a sunny island with no distinct season all year round. It has an average temperature ranging between 25ºC (77ºF) to 31ºC (88ºF) so do bring along your sunglasses, caps or hats and swim gear! Due to its geographical location and maritime exposure, it is like a tropical rainforest. Rainfall is a common occurrence, especially in November so do be prepared. These showers are usually refreshing and provide respite from the sun. The local currency is the Singapore dollar (SGD). Money changing services are readily available at the Singapore Changi Airport, and at many shopping centres and hotels in the city. You may also choose to withdraw money using major credit cards (Visa, MasterCard, American Express) from any automated teller machines (ATMs), which can be easily found. The international dialling code is +(65). Goods & Services Tax (GST) is 7% in Singapore. Spend at least SGD 100 a day from a retailer to qualify for refunds. Enjoy tax-free shopping at retailers that offer the Tax Refund service. At other retailers, ask for GST Refund Forms and keep your receipts to get your refunds processed at the airport right before you fly out of Singapore. Tax refunds do not apply if you’re leaving by land or sea. The Original Singapore Walks bring people into places most other tours don't. Pre-booking is not necessary. Explore the nature reserves in Singapore: Sungei Buloh Wetland Reserves for bird-watchers; Bukit Timah Nature Reserve and the Southern Ridges for those who love trekking; Labrador Nature Reserve for those who like a sea view and some history of Singapore. Have a relaxing day in laid-back Pulau Ubin, an island that's home to Singapore's last villages or "kampongs". At the same time, visit Chek Jawa for a piece of Singapore's ecosystems. Visit local farms and buy some fresh produce. Go museum-hopping or catch a performance while in Singapore. Take in the Singapore skyline on the Singapore Flyer. Tour the new Marina Barrage, Singapore's first reservoir in the city. Spend a day on Sentosa Island. Electricity in Singapore is 230 Volts, alternating at 50 cycles per second. 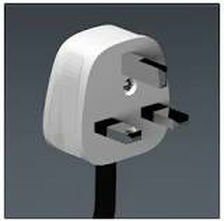 Outlets in Singapore generally accept 1 type of plug: two parallel flat pins with ground pin. Please submit the completed documents to president.soiree@gmail.com. 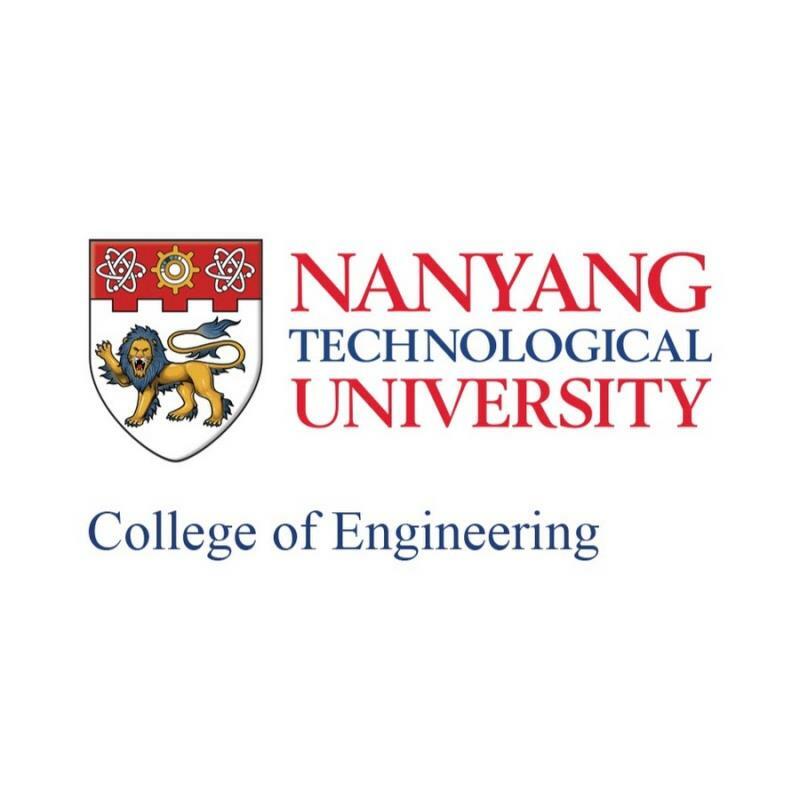 Nanyang Executive Centre is located at the Yunnan Garden Campus of Nanyang Technological University, offering a premier venue for corporate trainings, retreats and private events. 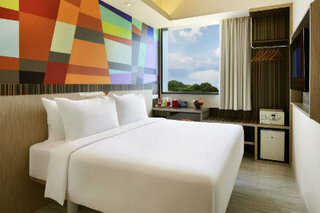 The 170 guestrooms and suites have been designed to meet the needs of both training executives andbusiness travellers. All the guestrooms are equipped with a work area and other modern amenities to ensure they provide guests with a pleasant stay. Complimentary Wi-Fi is available to all guests in their rooms, lobby and function spaces. Be it seminars, executive trainings, workshops, conferences, social events or simply a business meeting, our meeting and event venues offers capacity for a size of 3 to 210 persons. 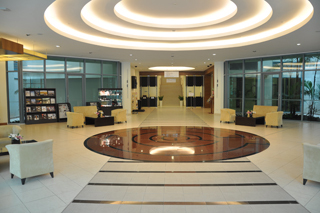 Location: Nanyang Executive Center - 60 Nanyang View, Singapore 639673. 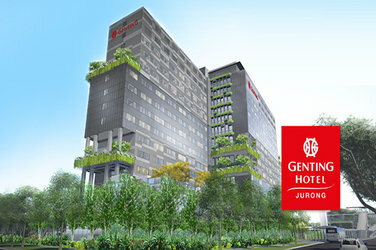 Guests come our Global Workshop on Functional Materials and Devices have 2 options to stay in Nanyang Executive Center located inside NTU campus or to stay at Genting Hotel in Jurong East area. The list in this page will be updated as more speakers confirm their participation.